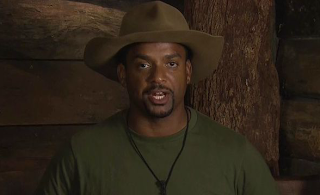 Actor Alfonso Ribeiro is on the verge of quitting I'm A Celebrity... Get Me Out Of Here! after complaining the British reality Tv show has killed his spirit. The Fresh Prince of Bel-Air star has wept countless times during his three-week stay in an Australian rainforest, breaking down in tears and telling his campmates he hates jungle life. Ribeiro, who became a father shortly before entering the show, is desperate to see his wife Angela and their newborn son Aj, and he has spent several days moping on his bunk and half-heartedly joining in camp activities. In scenes screened in the U.K. on Tuesday (03Dec13), he told a fellow contestant - celebrity dress designer David Emanuel - he was on the brink of walking out of the show as it was affecting his personality. He said, "I feel that this show has taken my spark away. It has been more difficult than anything I've ever had to do in my life and it was starting to literally kill me." Ribeiro is one of eight contestants left in the 2013 series of the survival show, in which stars must compete for food in grisly endurance tests. Other celebrities left in the camp include Olympic swimmer Rebecca Adlington and former Westlife singer Kian Egan. The show's winner will be declared in the final episode on Sunday (08Dec13). Damn the "Fresh Prince of BelAir" royalties must not be worth spit.....SMDH!